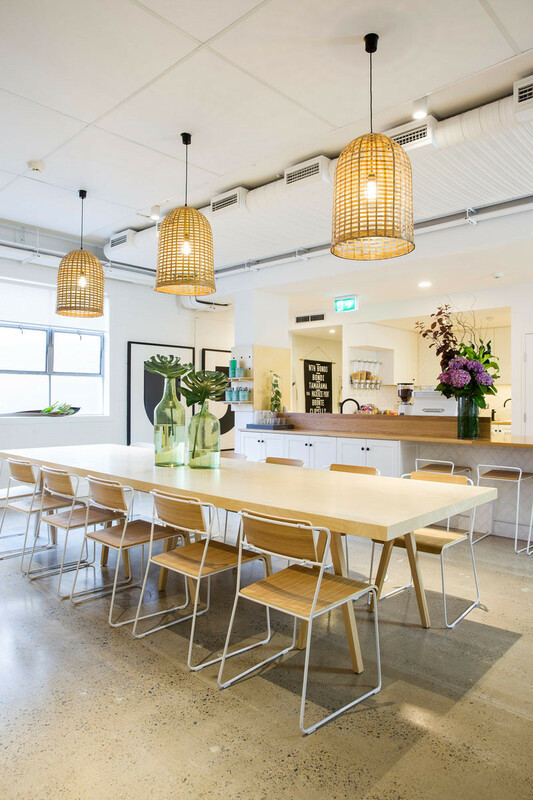 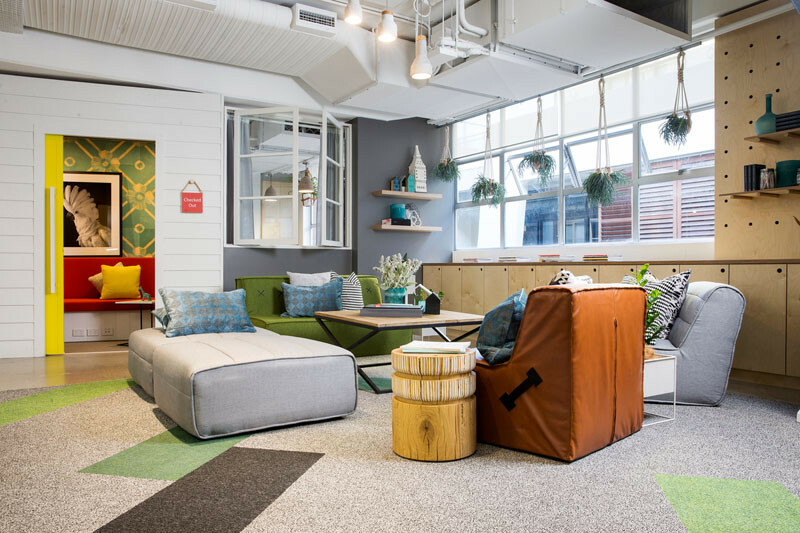 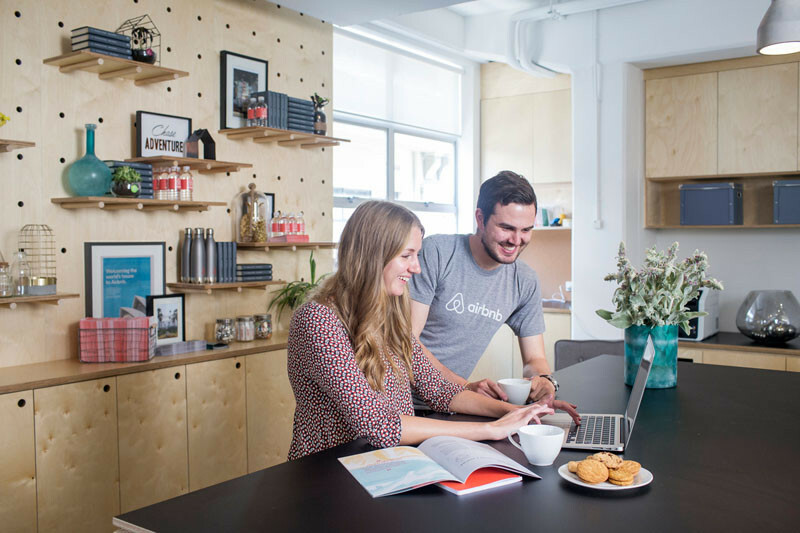 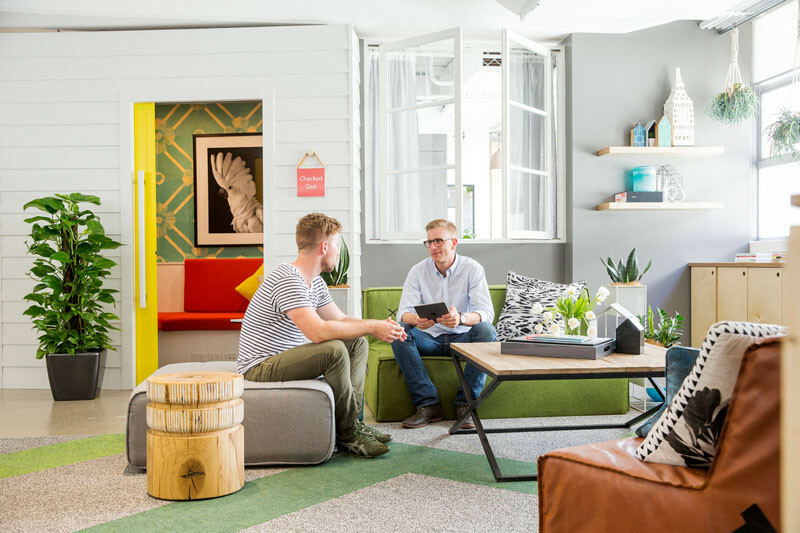 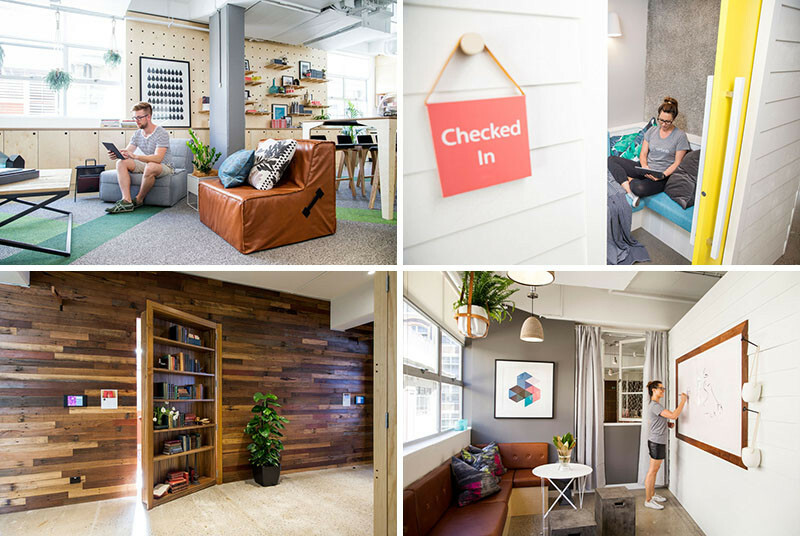 Airbnb have recently opened their Sydney, Australia office, and they worked together with local designers, The Bold Collective, to bring it all together. 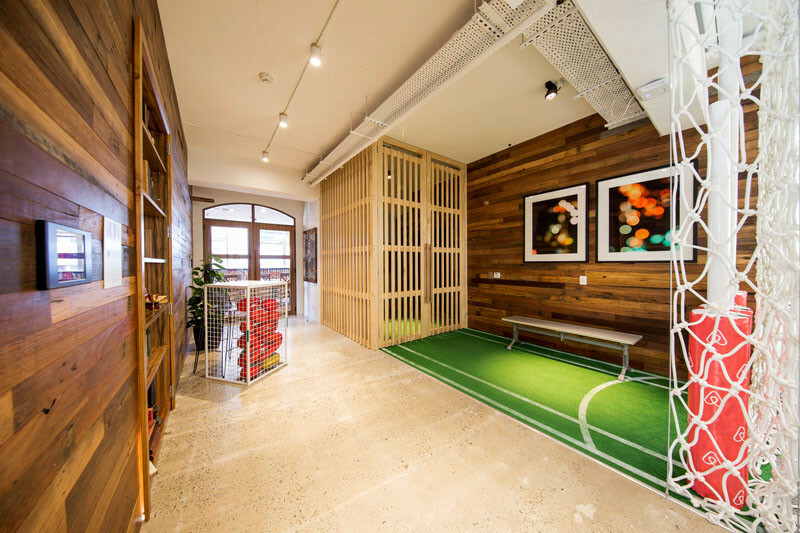 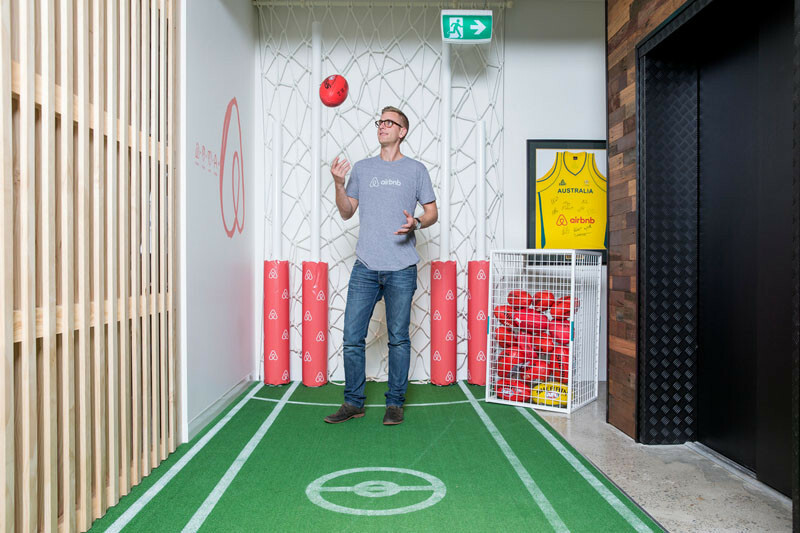 Taking inspiration from Australian sports, the entrance resembles an AFL football field, complete with nets and posts. 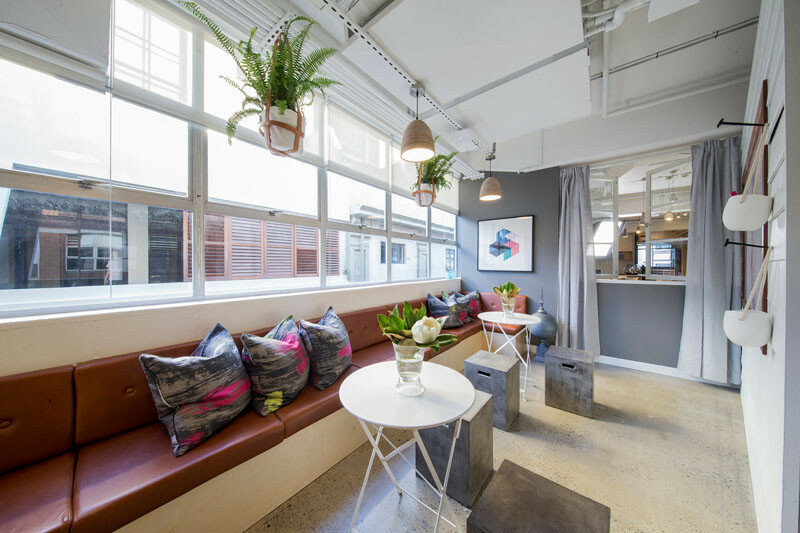 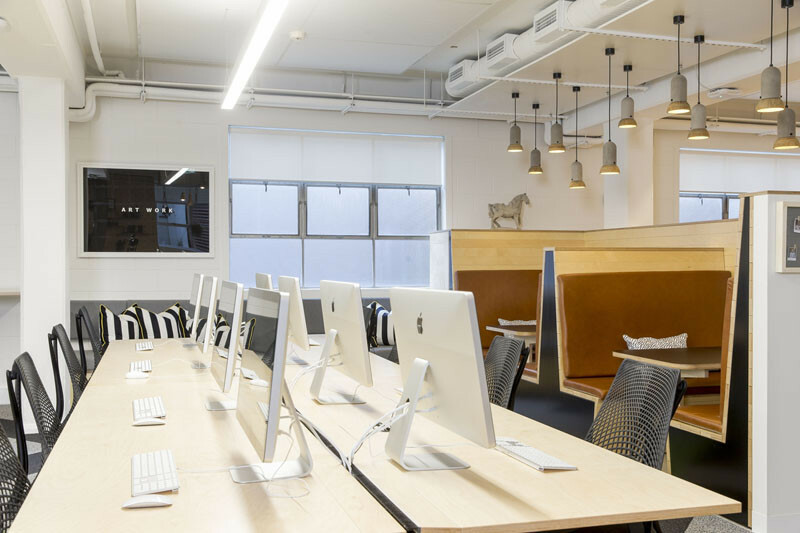 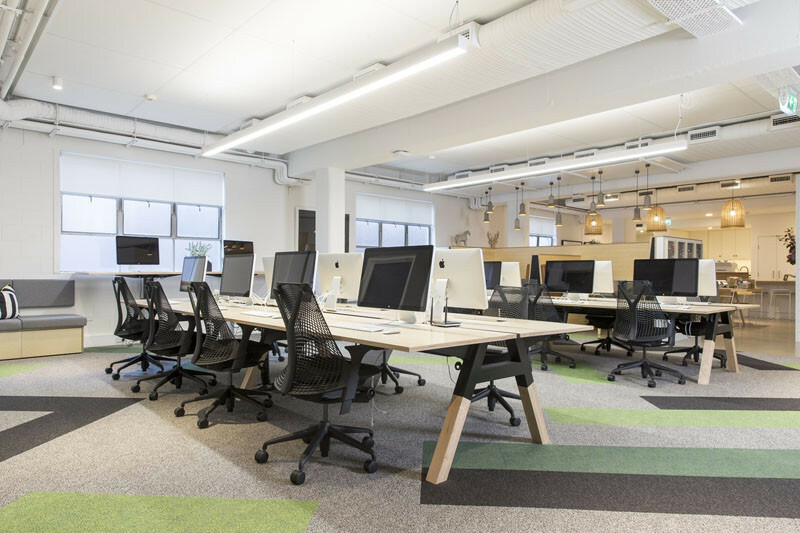 Throughout the office, there are many casual seating and work areas. 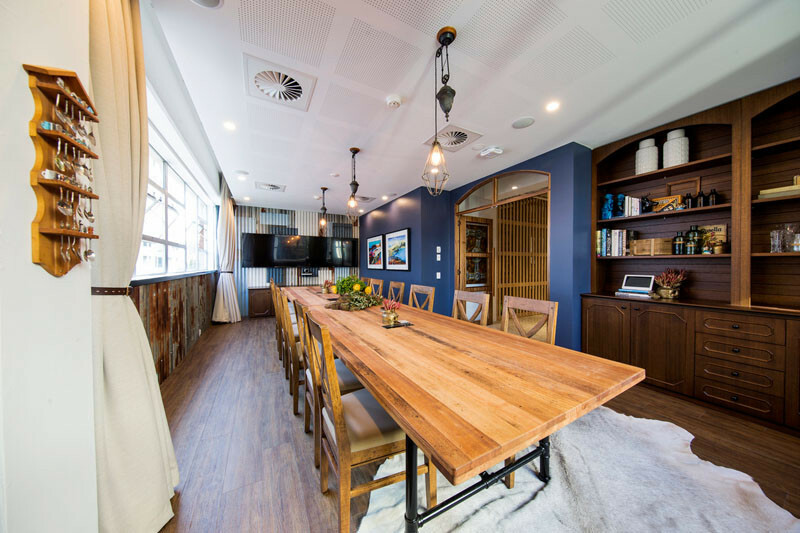 There are also small private meeting rooms, all decorated with a different look. 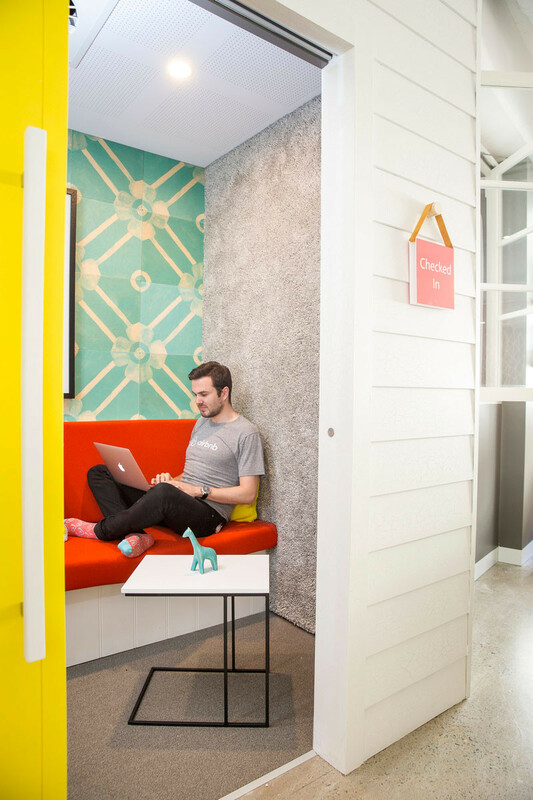 Just one of the many mini-meeting rooms. 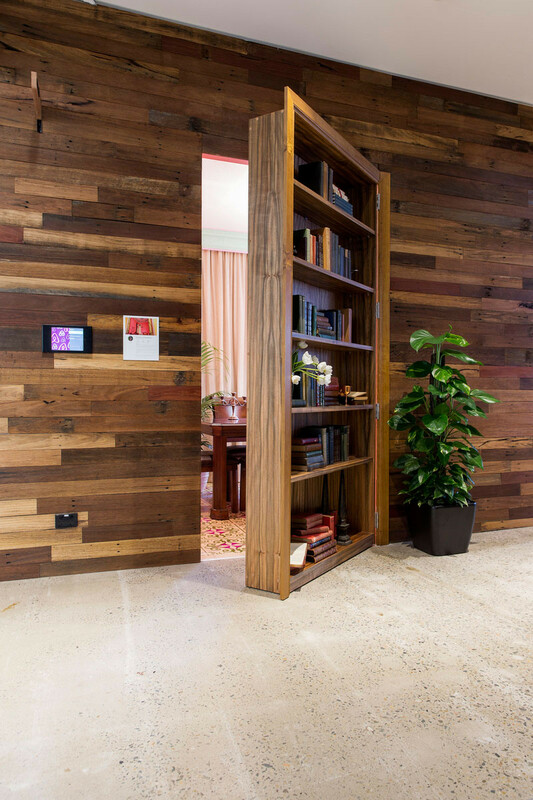 Hidden behind the bookcase in this wall, is a Cuban inspired meeting room. 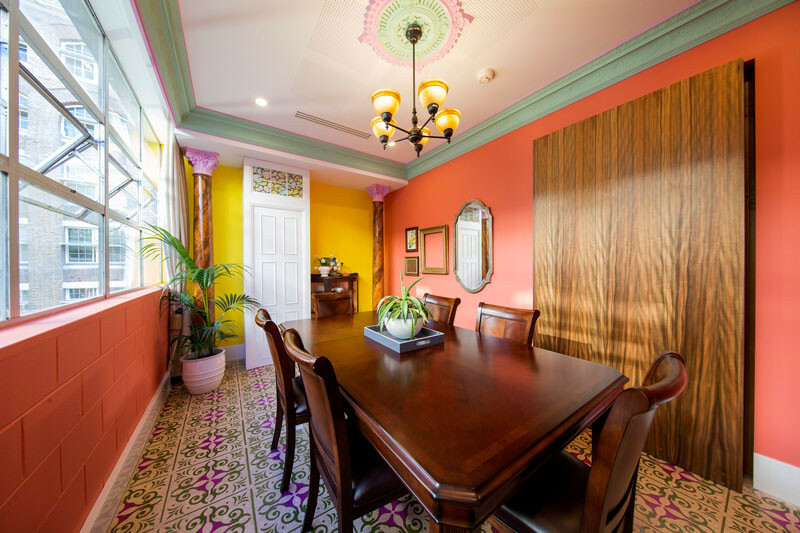 The Cuban-inspired room hidden behind the bookcase. 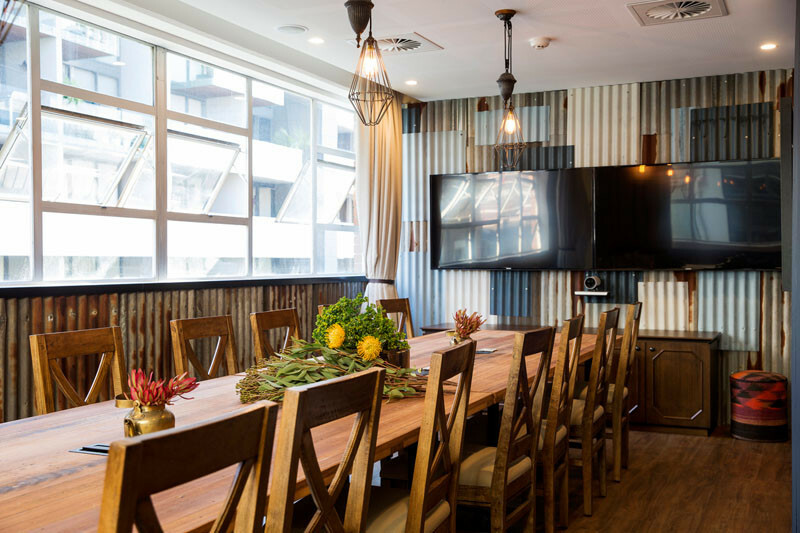 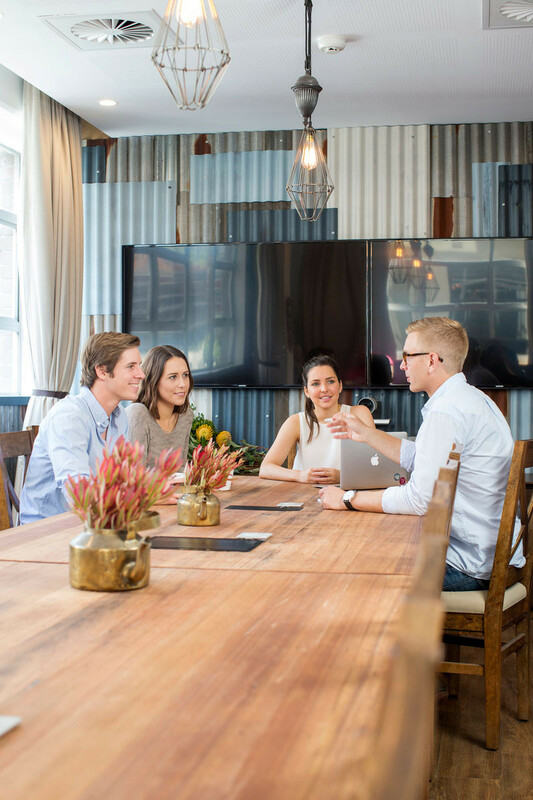 A large wooden table, built-in shelving, and corrugated steel fill this large meeting room. 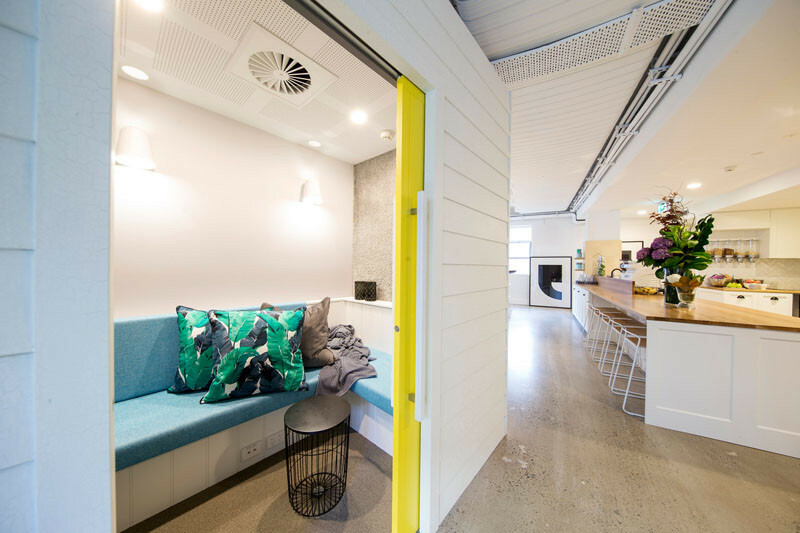 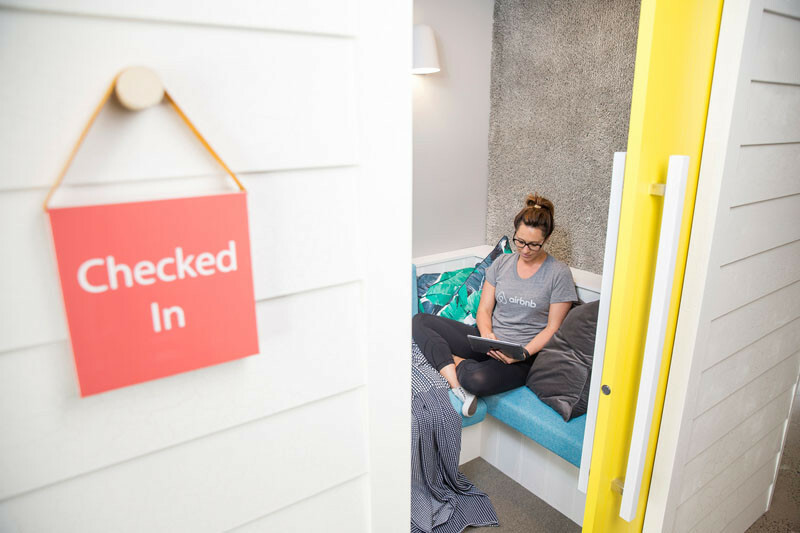 The ‘break room’ was inspired by beach-side cafes. 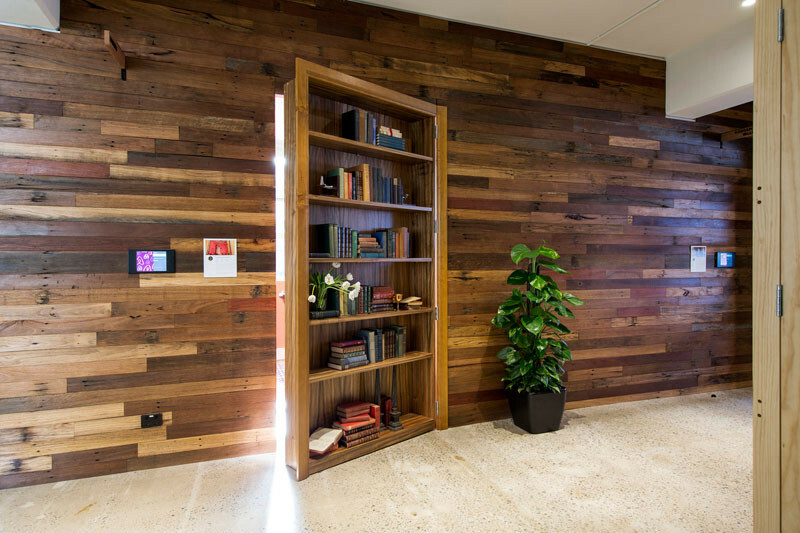 Dowel-supported shelving enables the shelves in this space to be moved when necessary. 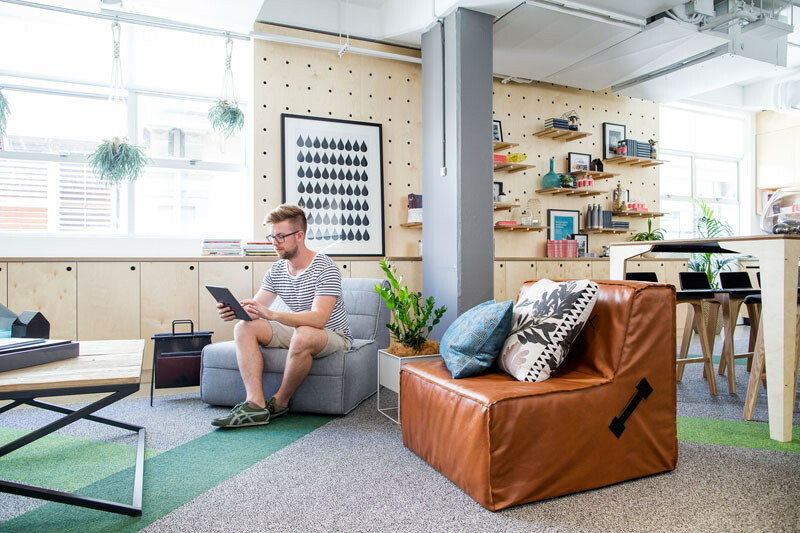 Of course not everyone works on a sofa, there are some desks. 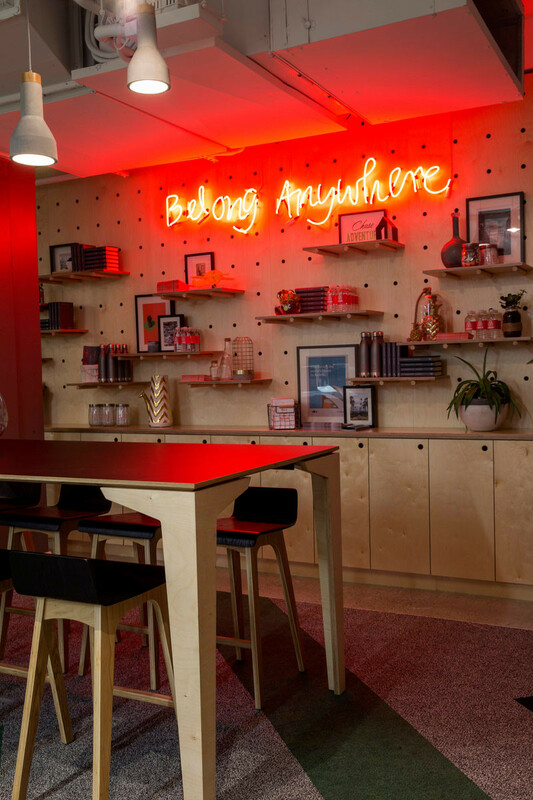 Diner booths provide small open meeting spaces. 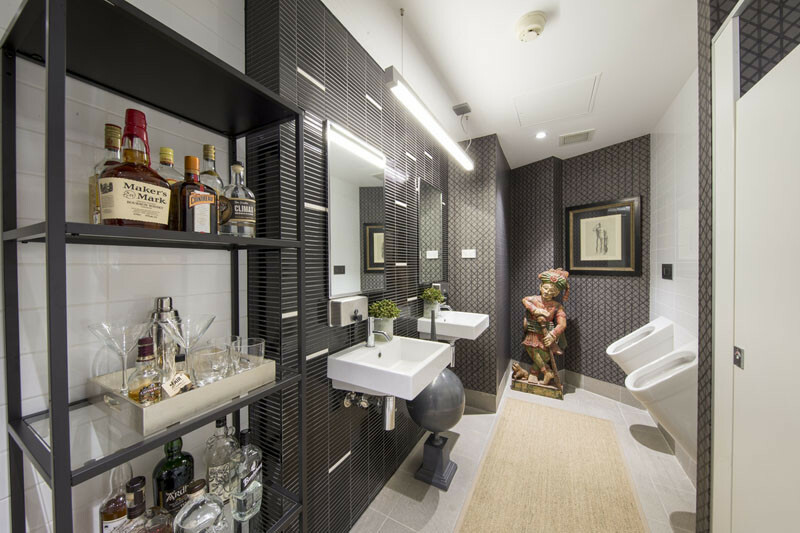 The men’s bathroom is themed on a Gentleman’s club/whisky bar. 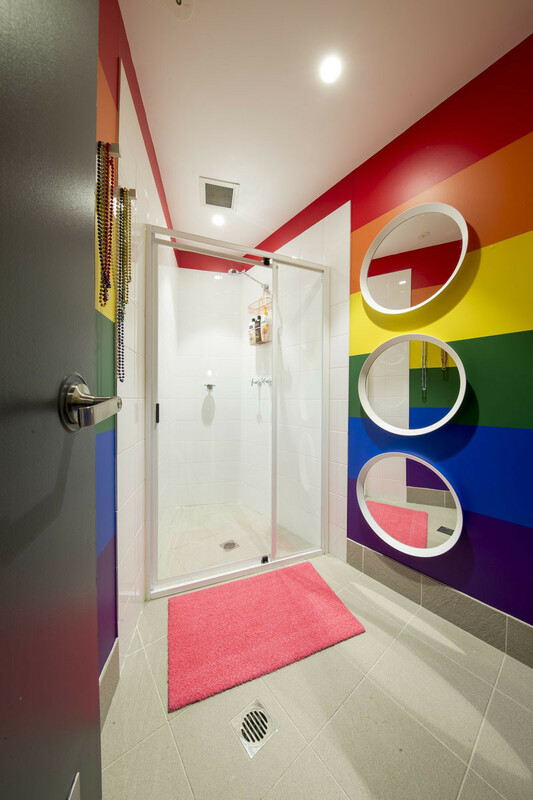 Finally, a shower room with a giant pride flag, is a nod to Airbnb’s partnership they have with Sydney Mardi Gras.